If you paid your own way through college, you might want to give your kids the head-start you never had. In fact, 43% of parents currently saving for their child’s college education didn’t receive the same assistance from their parents, according to our survey. Yet, nearly 40% of the parents we surveyed still have student loan debt of their own. 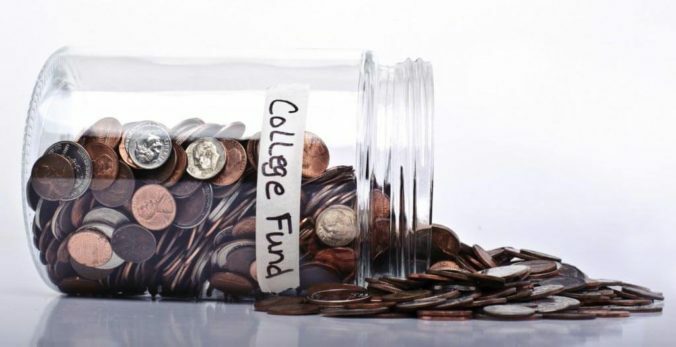 Find out how these parents are planning to save and borrow for college, and see if you’re on the right track. 23% were aiming to save between $10,001 and $20,000 for their child’s education. 20% said they were hoping to save $50,001 or more. Nearly 3 out of 4 parents use a regular savings account. More than 1 out of 4 respondents rely on a 529 plan. Choosing a savings vehicle is a big decision. It ultimately affects how much your money can grow between now and the time your child steps on campus. The 24% of respondents who are saving for college in cash, for example, aren’t growing their money over time. When you factor in inflation, their savings are actually losing value. Say you build your savings in a high-yield bank account earning 1.00% interest. After 15 years of monthly deposits of $200, you’d have $38,823, according to our savings calculator. Get the lowest rate on a new private student loan. Compare top lenders today. Alternatively, say you put your $200 monthly contribution into a 529 college savings plan tied to the stock market. After 15 years of 7% growth, your balance would be $63,392. Unlike money saved in a bank account, however, 529 funds can only be used for education-related expenses. Make sure you study up on the differences between 529 plans before making a decision. Although 37% of parents say no investment goal is more important than saving for their child’s college education, 44% actually prioritize retirement savings above all else. Other parents prioritize saving for a home (31%) and life insurance (24%) first. Surprisingly, another 6% said they’d rather save for travel than for their kid’s college costs. 37% of parents said they’ve already considered borrowing from their retirement savings. 18% said they weren’t sure if they’d dip into their retirement accounts to help pay for college. Raiding your 401(k), however, could come with heavy penalties. If you made a withdrawal before you reached the age of 59 ½, you would be subject to a 10% fee and income taxes. If you’re considering borrowing from an investment account to help pay for college, consider the nuances. You could ask the account’s administrator for expert help before making a decision. The average cost of attending a four-year in-state public school for the 2017-2018 school year was $9,970, according to the College Board. The annual price tag climbs if your child hopes to attend an out-of-state or private school. Our survey indicated that many parents plan to meet these costs by borrowing money. We asked respondents about what types of student loans or financing they planned to use to cover gaps in their child’s cost of attendance. Although 43% of parents said they’d rely on private student loans, 52% plan to use federal loans. There are some borrowers who could benefit from prioritizing private lenders. But it’s generally recommended that you borrow from the federal government first. Federal loans come with greater repayment protections, including the ability to lower your monthly payment. About 32% of respondents said they would take out a Parent PLUS Loan from the federal government. Almost 27% said they wouldn’t take out a PLUS Loan, and the remaining 42% said they weren’t sure about their plans. Unlike other federal loans, Parent PLUS Loans are taken out in the parent’s name. When you borrow from the federal government, you’re responsible for repayment. According to our 2017 survey on parents’ student loan debt, 39% of parents end up repaying loan debt without any help from their child. More surprisingly, 16% of parents said they planned to pay for their child’s education with a credit card. Almost 30% of parents planned to use a personal loan. That’s despite the fact that credit cards and personal loans typically carry higher interest rates than student loans. There are other reasons to be wary of using credit cards to pay for tuition. For one, a processing fee could wipe out your card’s cash back or other rewards. In fact, nearly 60% of schools that accept credit cards as a form of payment charge a convenience fee of 2.62%, according to a CreditCards.com survey. Paying for college is often viewed as a shared expense. The Department of Education helps to shape this view by calculating a student’s Expected Family Contribution (EFC). The metric considers the family finances before deciding how much financial aid the student could receive for college. If you’re a low-income family, for example, your child would receive a lower EFC and have more access to grants, work-study programs, and subsidized loans. About 2 out of 5 parents say their kids aren’t “fully aware of the cost of college and how much they’ll be expected to pay.” That might be why more than 61% of parents said they planned to help their children repay their student loans. And, 67% said they would serve as a cosigner on a student loan if necessary. When you see a child receive a full ride to college from their parents, you might feel bad about not covering every cent of your child’s education costs. More than 44% of the parents we surveyed said they feel guilty that they haven’t saved more for college. However, It’s easier to feel good about saving for your child’s higher education if you think they’ll make the most of it. Nine out of 10 parents said that they believed the money they’ll spend on their child’s education will be a worthy investment. But 1 out of 10 parents said they didn’t think the investment would be worth it or weren’t sure if it would be. When it comes to your child’s college costs, ensure you put a plan in place. The faster you can start, the better. Choosing the right savings vehicle when your child is still young, for example, could help you avoid financial ruin down the road. Survey Methodology: This survey was conducted using SurveyMonkey on Jan. 23 and 24, 2018. It collected answers from 1,035 men and women nationally who said they were currently saving for their child’s college education. The largest margin of error present in any survey response was 3%. 1 = Citizens Disclaimer.2 = CollegeAve Autopay Disclaimer: The 0.25% auto-pay interest rate reduction applies as long as a valid bank account is designated for required monthly payments. Variable rates may increase after consummation. Smart Option Student Loan customers. 3 = Sallie Mae Disclaimer: Click here for important information. Terms, conditions and limitations apply. “This article originally appeared on Student Loan Hero“ .